This title has been specially created for foreign learners of English who want to improve their career prospects in finance by learning English. The title covers the most common words found in this area, and will give learners a solid grounding in the key words and phrases that they will need as they start their studies or career in the finance industry. 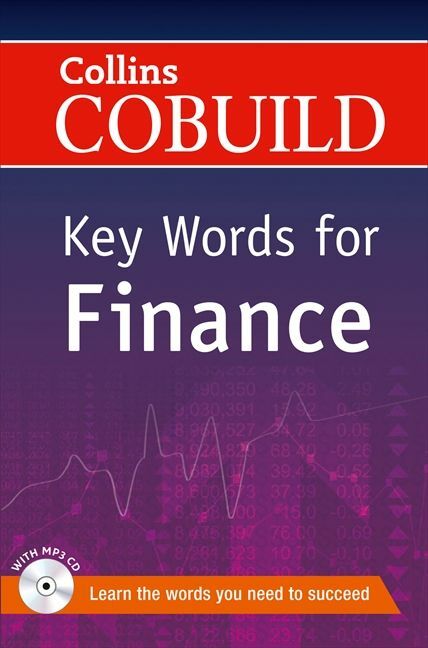 Collins COBUILD Key Words for Finance is unique in that the vocabulary items are organized alphabetically, in a dictionary style, and words are clearly labelled according to topic. Vocabulary-building features, synonyms, and collocations help learners to enrich their vocabulary and increase their accuracy and fluency. Vocabulary items are explained using simple language and are presented in a clear and easy-to-use format. Example sentences for every entry show how the word is really used in English and have been taken from subject-specific corpora from the 4.5-billion-word Collins Corpus. To help users consolidate what they have learnt, the title also contains a thematic word list section, organized according to topic. There is a self-study section which includes practice material, which will ensure that users really learn these fundamental words and phrases. The title also includes an audio CD, which contains audio of all 500 headwords and example sentences. Communication for work and study is crucial, so this additional help with pronunciation will help to build the learner's confidence when speaking English.